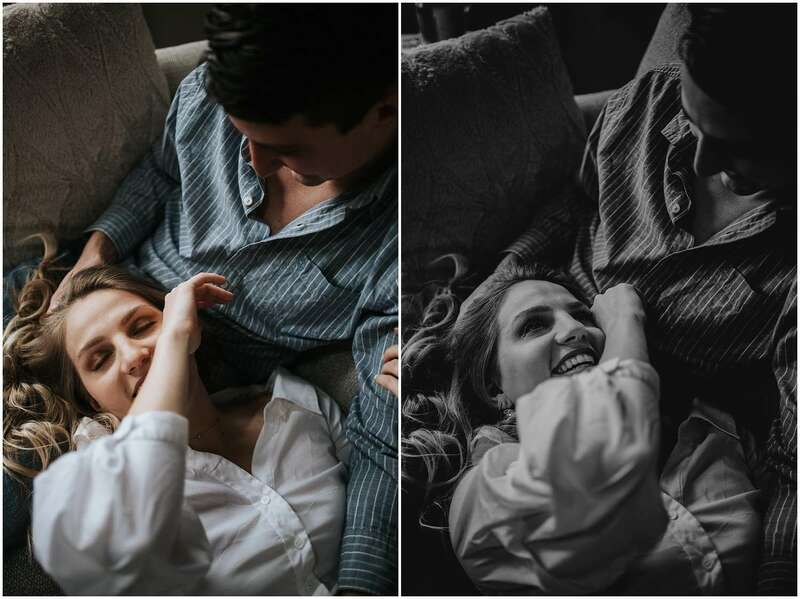 I met with Mackenzie and Jordan at their cozy northside apartment on a chilly Chicago day for an in-home couples lifestyle session. I love doing sessions at clients homes because it really gives you a sense of their personalities and helps tell the story of their relationship. Hanging out at someone’s home is way more relaxed and you feel more comfortable than trying to navigate through crowds of people – especially in Chicago. Mackenzie and Jordan love making cocktails together at home and hanging out with their cute cats Mango and Coconut. I love all the natural light in their space. We finished the session on the rooftop of their old apartment building where they first shared an apartment together. The view from that rooftop is so awesome! It was a snowy winter day when we were there, but you get a great view of the Hancock building and Lake Michigan. Jordan made the shelf on their wall! How awesome is that?! Jordan had just said one of the sweetest things to Mackenzie, which made her tear up. I love how they were able to be themselves and be vulnerable in front of my lens. Mango and Coconut had to come see why mom and dad were hanging out on the floor! 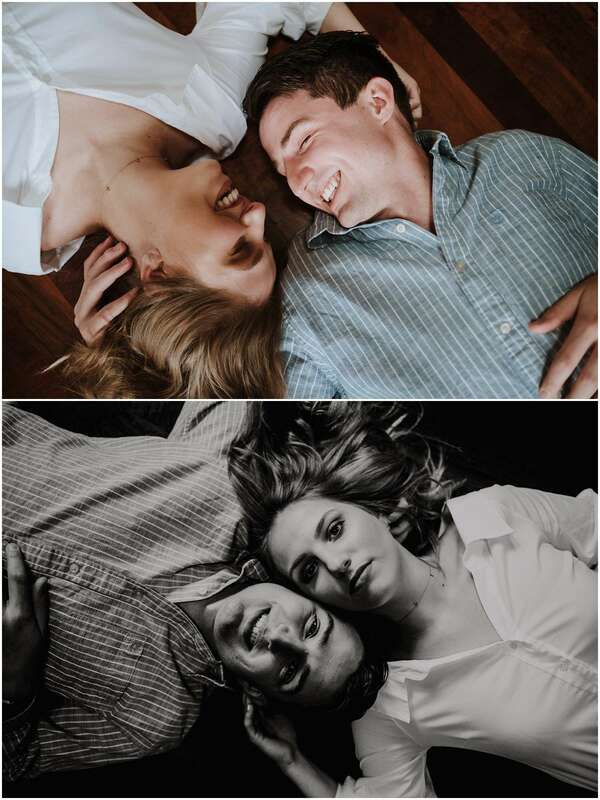 See more couples sessions here! If you’re interested in booking a session for you and your person, contact me here!